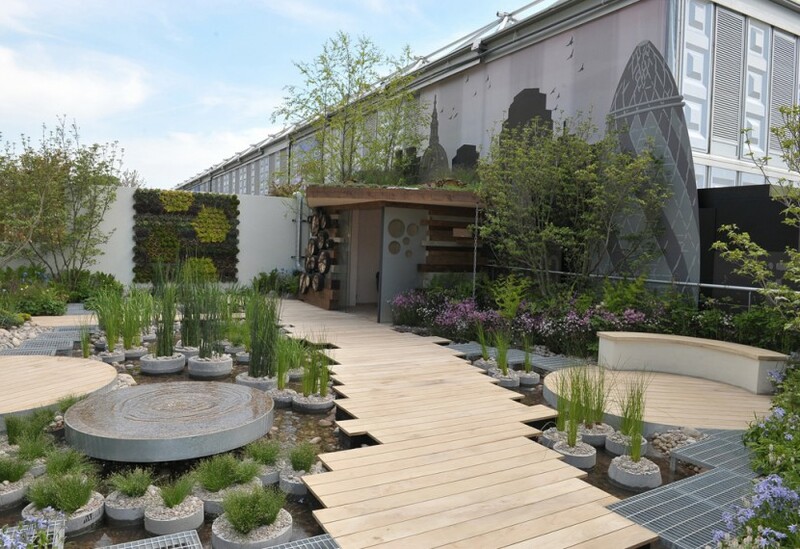 We were delighted to be asked to help with this show garden for RHS Chelsea Flower Show. Working with the Landscape Agency and Professor Nigel Dunnett – who, incidentally, was behind the wonderful wild flower planting in the London 2012 Olympic Park – we created a London skyline backdrop, plus a variety of extras for this urban rooftop garden. Using materials such as natural wood, stained wood and glass, we built a number of features including a bird hide which incorporated a planted ‘living’ roof and also helped create roof infrastructure features such as cooling vents and air conditioning units. 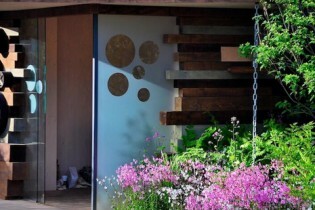 These usually utilitarian features were then transformed into sculptural habitats amid the beautiful planting. 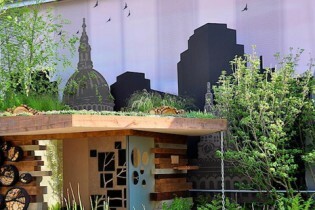 The finished garden looked amazing and was most deservedly awarded a Gold Medal.